the wide variety of restaurants waiting to serve you in Cabo San Lucas, along the Tourist Corridor and in San José del Cabo. cleanup and can even arrange musical entertainment and more! 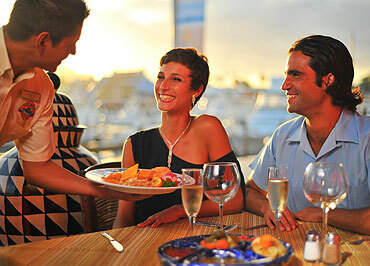 For additional details on Cabo dining options, call us at 1-855-745-2226. Charming Todos Santos boasts excellent restaurants. A perpetual favorite with our staff and guests, Hacienda Cocina is a must-visit for excellent ocean-view dining in Cabo San Lucas. The breathtaking beachfront setting is matched by the exquisite cuisine highlighting upscale Mexican favorites, seafood, ceviche and more. Enjoy a memorable meal as you admire the captivating panorama on the water, with sailboats and jet skis in the distance.